Climate Zone Home Exteriors are storm weather professionals with 10 years of experience and extensive knowledge working with insurance companies for full replacement cost on siding, roofing, fascia, soffits & gutters in the greater Chicago area and outlaying suburbs. We make a concerted effort to specialize in integrity in customer relations as well as warranting professional quality workmanship service. As a complimentary service we offer a free inspection by an experienced licensed independent insurance adjuster to determine the extent of weather damage to your property. A report will be given free of obligation or charge. We are available to represent you for an insurance company adjustment of your property damage and to process your claim. Our claims department is ready to take the headache away from the homeowner in dealing with the insurance process of getting your home restored. 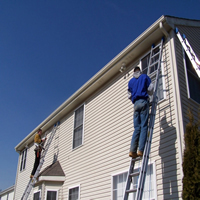 We have full time work crews available for replacement of your roof, siding and gutters. We use only the best materials available for each job. Quality is our trademark! Jobs are “in and out” and take normally only one to two days to complete. No ugly dumpsters on your property creating an “eye sore” or damage your driveway. We haul off debris the same day and leave property clean. Dealing with your Insurance Company can be somewhat confusing, especially to someone who does not work in the Insurance industry. Insurance is our Specialty! We will assist you in submitting you Home Owner’s insurance claim, making sure all the correct information and pertinent details are included in your claim. Once a claim has been submitted and appointment with our insurance adjuster will be scheduled. This is a crucial step as the adjuster has the authority to approve your claim. Climate Zone will be present when the adjuster inspects your home or commercial building. Our trained claims representative will negotiate with your adjuster to make sure your claim receives the full & fair treatment that you deserve. We’ll also do our best to insure that you will have no out of pocket costs other than your deductible. When your claim is approved, a detailed list of the authorized repairs will be provided. Also we will go over the insurance estimate to make sure there are no deficiencies and everything that your job needs is included. We offer written workmanship and manufacturer’s material warranties! 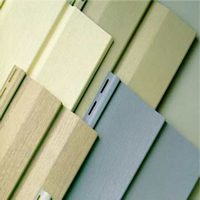 Lifetime guarantee on all siding material and 30-year guarantee on roofing material. Five-year craftsmanship and labor warranty. A copy of Climate Zone Home Exteriors Illinois license and insurance verification including liability and workman’s compensation is always available upon request. With your consent, we will conduct a complete & thorough inspection of your property to identify any problem areas or damages. We will recommend the most effective and efficient solutions available. Our Claims Specialist will help you navigate through the claims process as well as meet and negotiate with your insurance company, on your behalf, in order to achieve the best possible outcome. 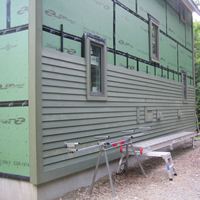 Climate Zone Home Exteriors is experienced in all aspects of exterior remodeling and construction. 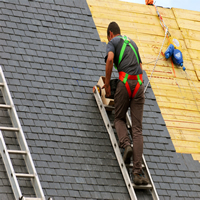 We’ll take care of your complete or partial roof/siding repair (or full replacement) with the utmost care, using only the best quality, warrantied materials. Due to recent storm weather, many homes in your area have been damaged. 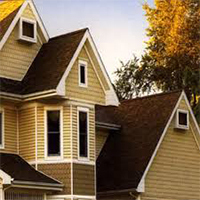 If left unchecked, damaged siding and shingles can lead to more severe problems from water and moisture leakage. Our Insurance Claim Specialist have helped thousands of homeowners restore their homes with quality craftsmanship and lifetime-guaranted materials for nothing more than the cost of their policy deductible. Speak with our service professionals to schedule a free property inspection today! Refer us to your family, friends and co-workers so they too can have a more beautiful, energy efficient and better protected home or office with increased market value. When your referral leads to another job for Climate Zone Home Exteriors you will Personally receive $75 as soon as the work starts. Simply contact the office or your claim specialist and let us know how to get in touch with the potential new client. We will contact them and if they’re interested in our services we will work with them. Q: Will my Insurance rates go up? A: Storm or weather damage is considered an Act of God. Your carrier cannot raise your rates as a result of your claim. Premiums are adjusted annually based on the averages of all claims in an area, state or nationwide. 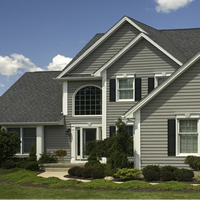 Q: How can I afford to replace my siding or roof? A: Our technicians will inspect your property to determine if your home has sufficient storm evidence to qualify for complete replacement cost by your Insurance. Q: What if I don't have the time to meet with my insurance or handle such an involved claim process? A: After your claim is submited, our claims specialist handle nearly every detail, from meeting with the adjuster, checking measurements, working to ensure coverage of the complete job, and managing claim paperwork with the Insurance. 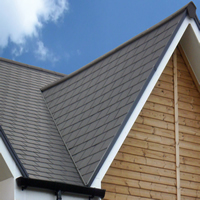 Our Subcontracted Roofer is fully Licensed, Bonded and Insured. All work is 100% Guaranteed! Written Warranties Provided upon request.